Massive Victorian quartersawn oak mantel with many carvings throughout. 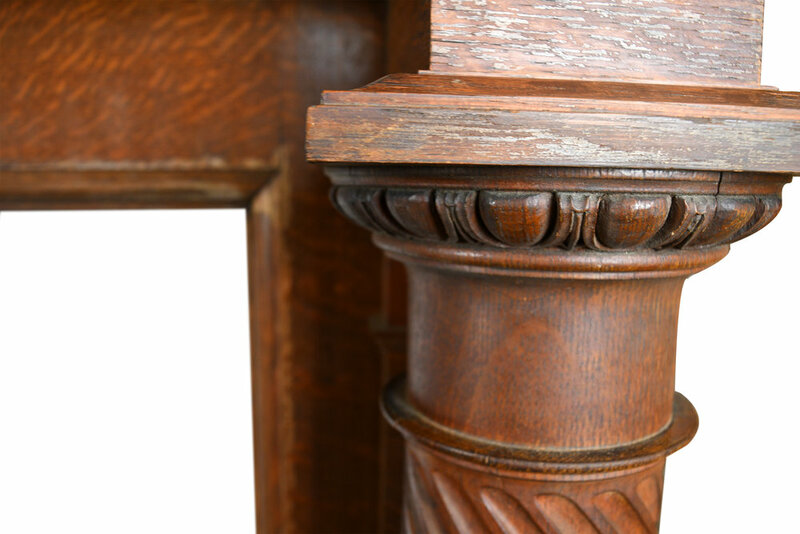 Like many other Victorian style designs, it is very decorative and a lot of carvings. 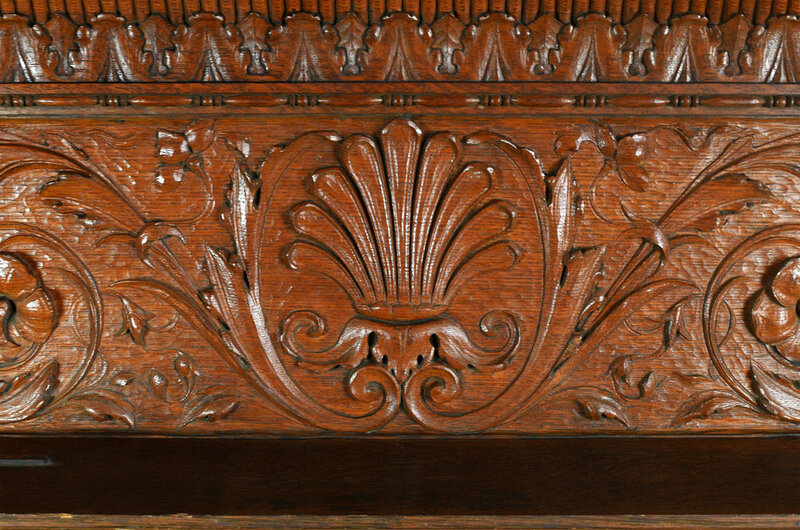 These stunning carved flowers, leaves and egg and darts motifs are all hand carved. The highlight of this mantel is the gigantic size of the mantel and the extraordinary craftsmanship and meticulousness. Be sure to include the Product ID (AA#47713) when making your offer.